Mainak Dhar is an Indian author whose work includes Alice in Deadland, The Cubicle Manifesto and Heroes R Us. His Zombie Apocalypse novel, Zombiestan has recently been released as an audiobook from Tantor Audio, narrated by Audiobook veteran John Lee. Mainak Dhar was kind enough to take some time out of his schedule to answer a few questions from me for Zombie Awareness Month. First off, welcome to The Guilded Earlobe. For those who are a unfamiliar with your work, can you tell us about your career? Mainak Dhar: Thank you, Bob. It’s great to be here. I describe myself as a cubicle dweller by day and writer by night, but my dream of being a writer is something I’ve had for as long as I can remember. My first `published’ work was in Grade 7 when I stapled together my poems and solutions to the Maths textbook and sold them to my classmates, earning a profit of $12.50 that was promptly spent on ice cream and comics. Stephen King once said that the moment someone pays you a cent for your writing, you’re a professional writer, and in my mind, that was when my career as a writer began. Zombiestan and Alice in Deadland are your zombie novels. Did you have a so called, "Come to Romero" moment when you discovered zombies and became inspired to write about them? Mainak Dhar: I’ve always enjoyed post-apocalyptic and dystopian fiction because it’s fascinating to see how people behave when all the rules and norms we take for granted in society break down. So my staple diet in books has included classics like Swan Song, Lucifer’s Hammer, I am Legend, Cell and so on. I had always wanted to try my hand at post-apocalyptic fiction and one day, as I was doodling ideas for what I could work on next, the word `Zombiestan’ popped into my head. My first reaction was- that could be so cool. One thing led to another, and I started bringing the undead to life, one book at a time. How did your audiobook deal with Tantor come about? Mainak Dhar: I self-published Zombiestan in ebook form on the Amazon Kindle in mid 2011 and it had picked up some really positive reviews. A paperback deal with Severed Press followed and I guess the visibility helped me get noticed. 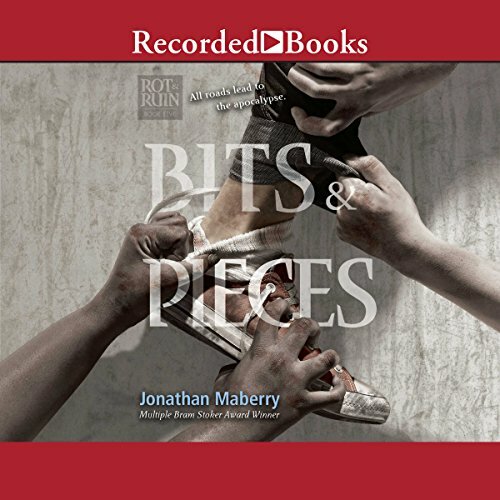 I was contacted a few months ago by Tantor for the audiobook deal and never having had one of my books released as an audiobook, I was quite excited to see how it went. I’ve really enjoyed working with Scott, Allan and the team at Tantor and I’m sure you’ll see us collaborate again. A lot of audiobook fans were excited to see a Zombie novel narrated by John Lee, who is quite a talented and popular audiobook narrator. Did you have any interaction on the production of the audiobook, and have you listened to it at all? If you have listened, how was the experience of hearing your words expressed in this format? 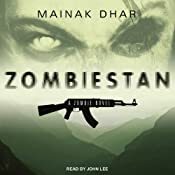 Mainak Dhar: To be honest, Zombiestan was the first audiobook I listened to and I was blown away by what John Lee brought to my story. The way he heightened the emotions and tension, the way he subtly differentiated between the intonations of the different characters, and the way he paced the story all made listening to it a wonderful experience. Having listened to Zombiestan and seen how a well-narrated audiobook can really add to a story, I am sure to add to my audiobook collection now. One of the things I talked about in my review is how the majority of my Zombie book experiences have been set in either the United States or the UK. How popular is the zombie subgenre in India? How has your novels been received around the world? Mainak Dhar: The zombie sub-genre is not very popular in India, and no Indian writer has to my knowledge really written in it. But then there always has to be someone who pioneers a new genre. I had been traditionally published in India by majors like Random House and Penguin, but reached out to international readers through the Amazon Kindle only in March 2011. I am really grateful for how international readers have received my work- I’ve sold well over 100,000 copies in my first year on the Kindle store. I began my journey by uploading some of my backlist but in the last 12 months, I’ve written three all new books- Zombiestan, Alice in Deadland and Through The Looking Glass (the sequel to Alice in Deadland) which were uploaded first to the Kindle. Now it’s time to take some of them back to Indian readers. I’ve signed a deal with a major Indian publisher for Zombiestan, and the Indian edition should be releasing in September. I am also in discussions with them for the Alice in Deadland trilogy. By the time the year is over, I hope to see my zombies rampaging through the shelves of Indian bookstores. You have written about a large range of topics, including various other speculative fiction topics. and military fiction. Is there one topic you have yet to write about that you would like to tackle? Which of you books would you recommend to those who only know you through your Zombie fiction. 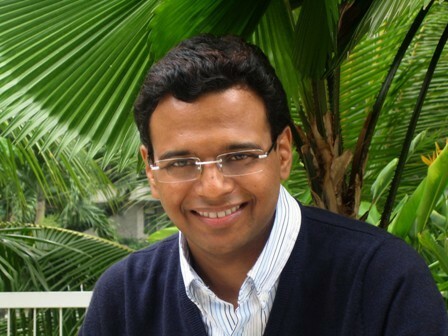 Mainak Dhar: One thing I always wanted to do was to write a series, and now with the Alice in Deadland trilogy, I’m getting an opportunity to do that. Through The Looking Glass (Book II of the trilogy) has just been released and am currently working on Book III, which is meant to be a prequel to the series. Once I’m done with that, I have a dystopian thriller in mind, but without zombies. For readers who’ve read my zombie books, I would recommend they take a look at Heroes R Us (published in India as Herogiri). While my zombie books deal with all the dangers and terrors that come with a post-apocalyptic society, Heroes R Us is rooted in current Indian society and some of the dangers of crime, corruption and abuse of power that ordinary citizens have to endure- which honestly, are a more real, and sometimes no less dangerous, enemy than fictional zombies. A few fun questions. The Zombie Apocalypse has come, and unfortunately you have been bitten. Would you rather a friend take you out, or would you like to experience life as a zombie? Mainak Dhar: My wife would say that with the kind of books I write nowadays, I’m half zombie anyways. So why not go all the way and embrace zombiedom? If someone were to write the story of your life, who would you like to write the tale, and who would you like to narrate the audiobook? Mainak Dhar: Sounds very pretentious to think anyone would be interested in writing the story of my life. I’d settle for a collage of photos of my family (my wonderful wife, Puja, our son, Aaditya and our Shih Tzu, Fluffy) mixed up with my book covers, all to the soundtrack of `All Star’ by Smashmouth. If you had the opportunity to eliminate one "celebrity" zombie, who would be your top choices? Mainak Dhar: Jason (of the Friday the 13th series). He may not be top of mind when it comes to zombies, but think of it- he dies in the fourth movie and then officially comes back from the dead. So he is undead and is much more dangerous than the ordinary zombie since he seems to be able to plan his moves. Plus, he looks wicked in that mask and with a machete. For those of us looking to expand their reading and try out more international and independent authors, do you have any book/author recommendations whether they be zombie novels, or other genres? Mainak Dhar: There are some incredibly successful independent authors out there, many with popularity and sales well beyond mine, but I thought I’d mention a couple of fellow independent authors who write in the zombie genre. Ian Woodhead is a very talented British writer and I think your readers would like his work such as The Unwashed Dead. Ian and I began a group on Facebook called The Zombie Inn for writers and fans alike, so do drop by and you can meet many other like-minded people. Pat Douglas, who incidentally designed the paperback cover for Zombiestan, is a zombie author as well, and his new book Rancid deserves a shout out as well. Are there any upcoming projects you would like to share with my readers? My newest baby is Through The Looking Glass, the sequel to Alice in Deadland, and the prequel is in the works. So I do hope some of your readers get a chance to immerse themselves in the world I’m creating in that trilogy. Thank you for taking the time to answer my questions. Hopefully the Zombiestan audiobook will be a big success for you and we’ll see more of your work come to this format. Any last words? Keep reading, and I’ll keep writing. Zombiestan is available from Tantor Audio through their site, or Audible.